ਰੂਮੀ ਦੀਆਂ ਕਵਿਤਾਵਾਂ ਨੂੰ ਤਿੰਨ ਵਰਗਾਂ ਵਿੱਚ ਵੰਡਿਆ ਹੋਇਆ ਹੈ: (ਰੁਬਾਈਆਂ), (ਗ਼ਜ਼ਲਾਂ) ਦਾ ਦੀਵਾਨ, ਅਤੇ ਮਸਨਵੀ ਦੀਆਂ ਛੇ ਕਿਤਾਬਾਂ। ਵਾਰਤਕ ਦੇ ਵੀ ਤਿੰਨ ਵਰਗ ਹਨ: ਪ੍ਰਵਚਨ, ਚਿੱਠੀਆਂ, ਅਤੇ ਸੱਤ ਉਪਦੇਸ਼. ਉਸ ਮਹਾਪੁਰਖ ਬਾਰੇ ਮੈਂ ਕੀ ਕਹਾਂ ? ↑ J.T.P. de Bruijn, "Comparative Notes on Sanai and 'Attar", The Heritage of Sufism, L. Lewisohn, ed., p. 361: "It is common place to mention Hakim Sana'i (d. 525/1131) and Farid al-Din 'Attar (1221) together as early highlights in a tradition of Persian mystical poetry which reached its culmination in the work of Mawlana Jalal al-Din Rumi and those who belonged to the early Mawlawi circle. 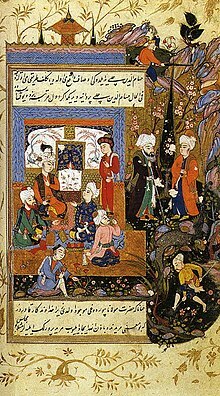 There is abundant evidence available to prove that the founders of the Mawlawwiya in the thirteenth and fourteenth centuries regarded these two poets as their most important predecessors"
↑ Franklin Lewis, Rumi Past and Present, East and West, Oneworld Publications, 2008 (revised edition). p. 306: "The manuscripts versions differ greatly in the size of the text and orthography. Nicholson’s text has 25,577 lines though the average medieval and early modern manuscripts contained around 27,000 lines, meaning the scribes added two thousand lines or about eight percent more to the poem composed by Rumi. Some manuscripts give as many as 32000!" ↑ Furuzanfar, Badi-uz-zaman. 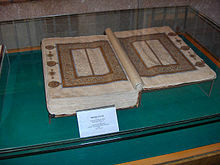 Kulliyat-e Shams, 8 vols., Tehran: Amir Kabir Press, 1957-66. 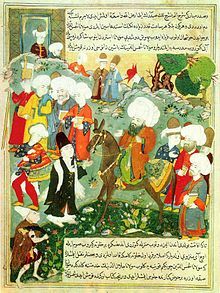 Critical edition of the collected odes, qutrains and other poems of Rumi with glossary and notes. ↑ Franklin Lewis, Rumi: Past and Present, East and West — The Life, Teachings, and Poetry of Jalal al-Din Rumi, Oneworld Publications, 2000, Chapter 7.